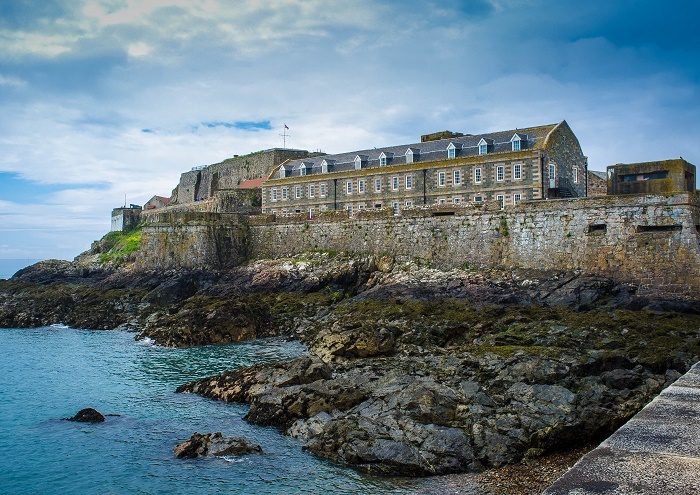 Castle Cornet is a large island castle and former tidal island located on the island of Guernsey in the La Manche Channel, which is part of a Crown dependency. 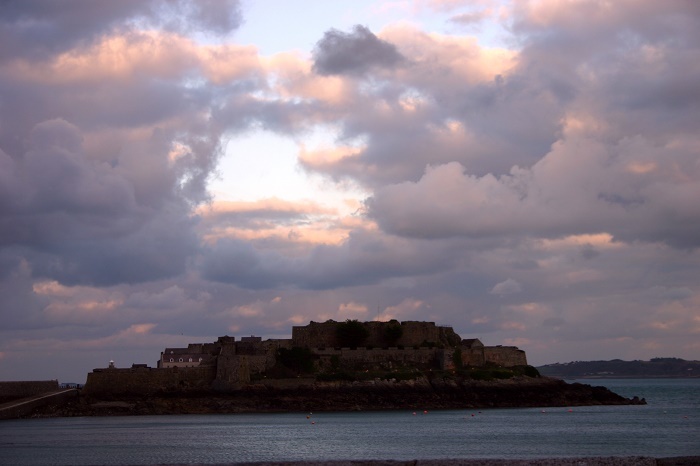 The castle also is known as Cornet Rock or Castle Rock and was an important guardian for the island and the road stead. 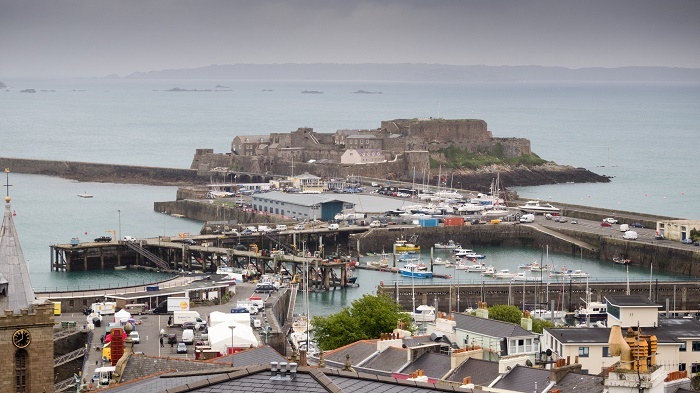 The Castle has guarded the harbour for 800 years, and there are five museums located withing the castle where you can explore the glorious past of it. 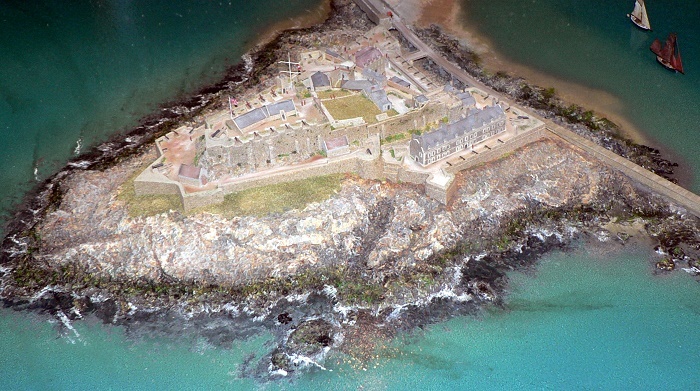 These comprise of The Story of Castle Cornet, 201 Squadron (RAF) Museum, Maritime Museum, Royal Guernsey Light Infantry Museum and Royal Guernsey Militia Museum. There are four historic gardens within the castle walls, lovingly tended by the castle Keepers who keep them free from weeds, dead-headed and watered daily. The keepers have also recently transformed many areas of the castle not acknowledged as formal gardens but which serve to make the castle a interesting horticultural experience. 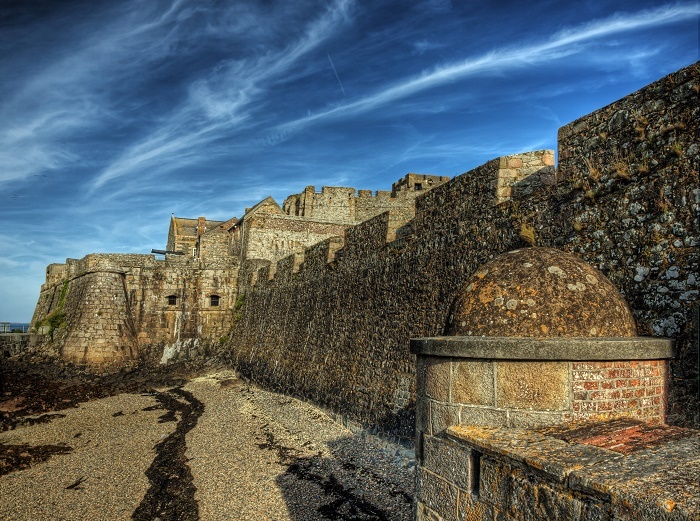 There are six gateways for you to enter the castle, where the Main Gate is concealed from cannon fire from the Island and bears the arms of Queen Elizabeth I. 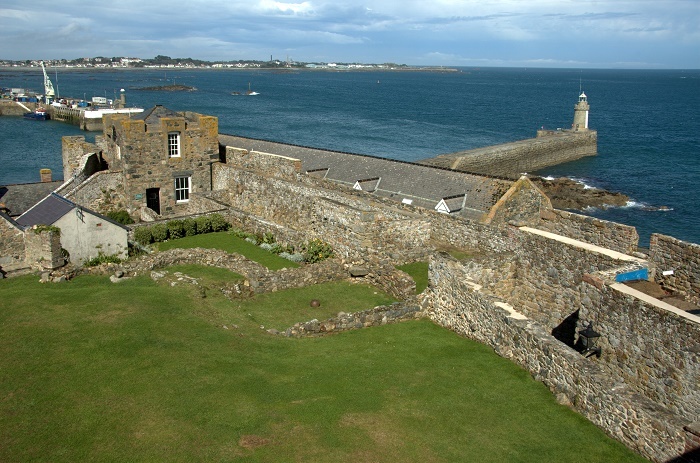 The original curtain wall was built around 1570 but has been refaced to strengthen it since. The Outer Ward reached through the main gate with its portcullis, follows a barrack block on the right which was built in the 18th century and a 19th-century guard room. 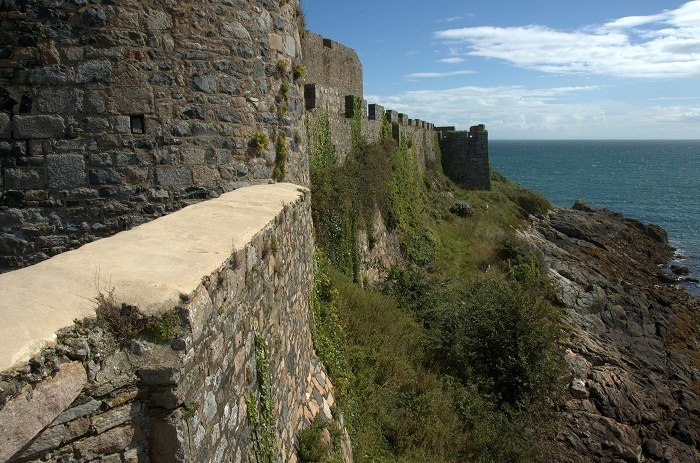 The second curtain wall behind dated from the English Civil War period, leads toward the top of the ward which is another gate, and twists to make assault harder. 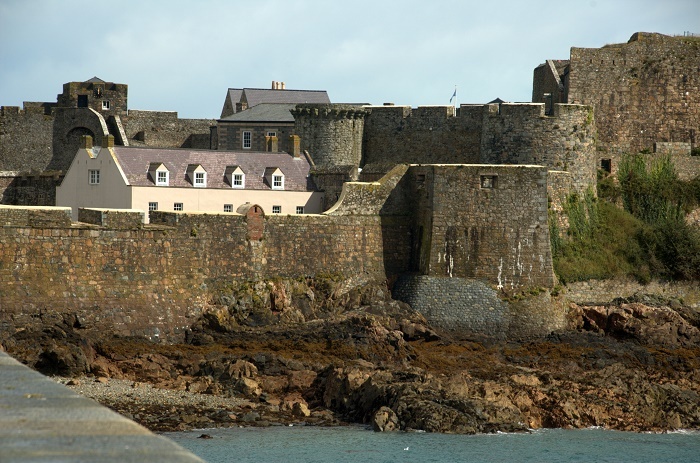 The Barbican is the outermost part of the medieval castle dating from the mid 13th century. The arches inside allow defenders above to attack people below with missiles and liquids, such a quick lime and liquid lead. From there you’ll notice another portcullis, and also should be noted that some of the walls here are made of poor materials, small stones and may have been built by the French when they were under siege around 1345. 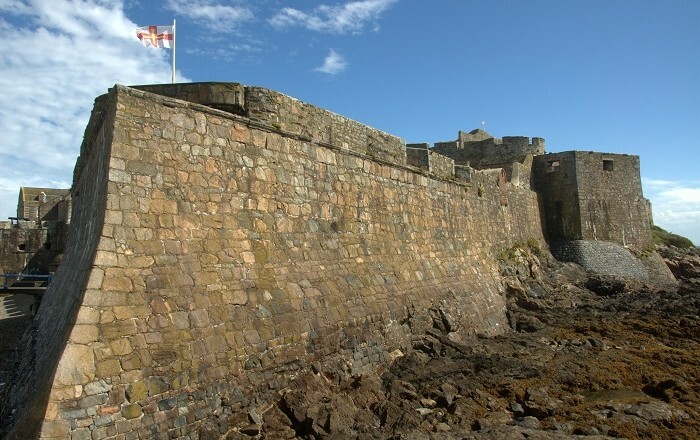 A passageway and another sharp turn to stop the use of a battering ram, which leads to a drawbridge and the original entrance to the 13th century Castle. The Citadel which had yet another portcullis and door at the entrance and there are considerable works dating from the 1940-45 German occupation period. The top held a square tower from which three Parliamentarians escaped in 1643. 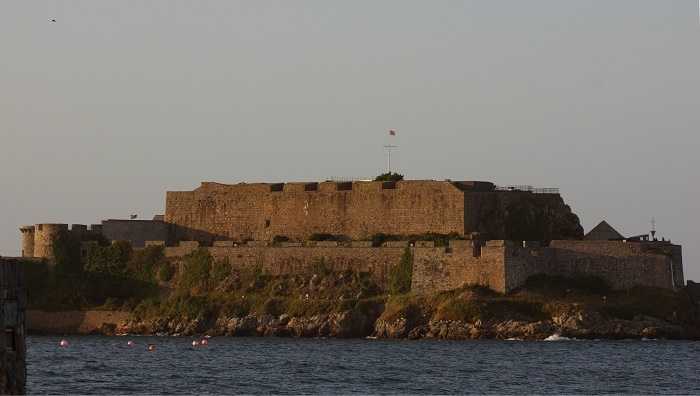 Many of the defensive walls in this area were built in the 16th century. 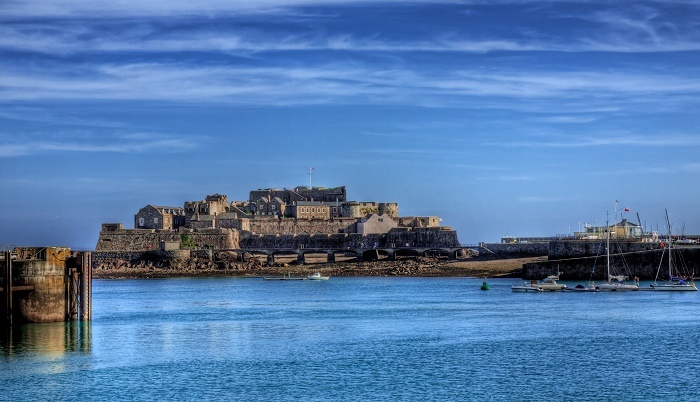 This amazing Castle has been built for a long time to serve the people who “occupied” the island, with hope they shall keep it longer, and bears a witness of a very long history.